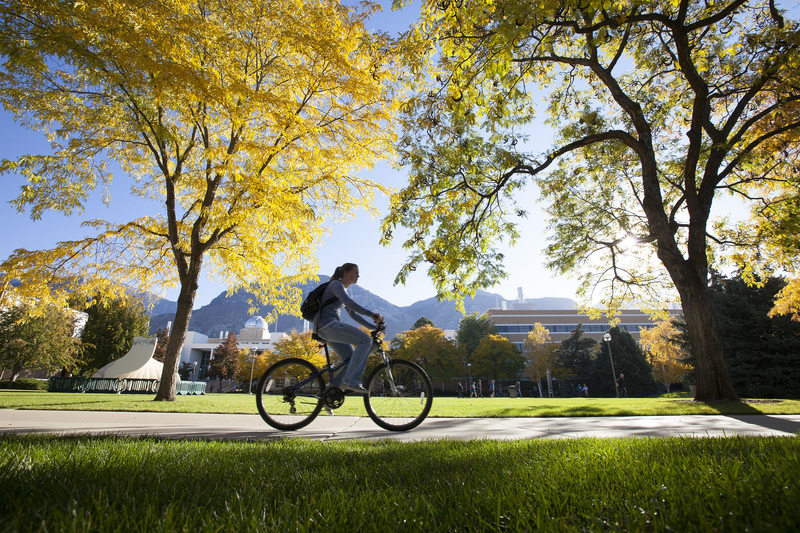 This entry was posted in Complete Streets, Provo Bicycle Projects, University Bike Scene by Zac. Bookmark the permalink. Right now the _only_ place on campus you can conveniently ride a bike is on the roads (the sidewalks are overrun with pedestrians and illegal for biking during passing periods). If they turn Campus Drive into a pedestrian zone, then campus will be even less friendly to cycling than it is now. This is exciting! I’m clicking over to find out about Bike Sharing right now! Kristy, bike sharing only works for on-campus residents, so it’s not nearly as interesting as it sounds.